High quality hard plastic coating cover with simple clip-on/off design. 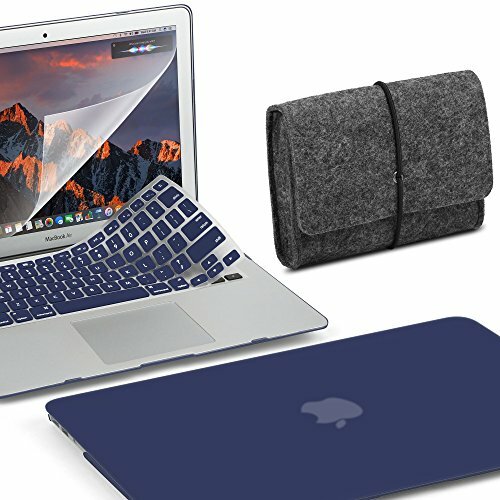 Protects your Macbook from accidental hard knocks, scratches and dirt. Allows full access to all buttons and features without removing the cover. High quality clear screen protector repels dust and reduces glare. The material of excellent felt makes the pouch bag soft and durable. The slim and light-weight design makes it no burden when carrying it around, compromising the compact and fashionable look at the same time.